Aparna is a postdoctorate research fellow at Gooru Labs in Web Science Labs. Before joining Gooru Labs. Before joining Gooru labs, She was a postdoctorate research fellow at University of Haifa, Israel under the fellowship of Planning and Budgeting Commission of Israeli Higher Education. She is a mathematician and educational technologist with PhD in Information Technology. For PhD she had proposed an ontology for teaching problem solving in mathematics. Her research interest include: application of Information Technology to Education specifically mathematics and science education, application of semantic web technology to education, ontological engineering and management, online assessment, automation of applications, educational technology and management. She earned an MPhil in math education research from Cambridge University, UK and have received several academic fellowships and awards including HP Labs fellowship for PhD, DFID & CCT fellowship for MPhil. She has wide range of teaching and work experience. She has taught to tribal students as well as intellectually gifted students. She has also taught graduate level and master’s level students. During PhD at IIITB, she has mentored MTech students for some projects. She is also interested in social work, Indian culture and ancient Indian knowledge. She has worked as a Sevavrati for Vivekanand Kendra in the North Eastern region of India. She had worked as a joint secretary for Vivekanand Kendra Pune and during her association with VK, she had organized youth camps, personality development camps, conducted workshops and delivered lectures on life and work of Swami Vivekananda. 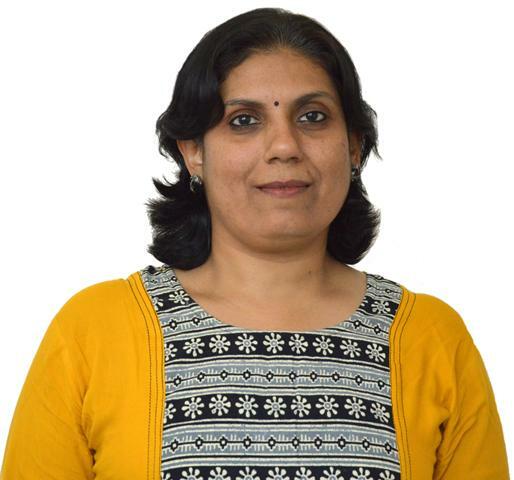 She is a voracious reader in both Marathi and English and write regularly blog articles as well as articles in newspapers and magazines in Marathi and some times in English. Lalingkar, A. (2007). Comprehensive Review of Research in Comparative Education, Perspectives in Education, Vol 23 (3), October 2007, PP. 249-257. Lalingkar, A. (2007). Comparison of geometry curricula with respect to objectives and content in India and England for the age group 14 to 16 years, Perspectives in Education, Vol 23 (2), April 2007, pp. 122-129. Lalingkar, A.; Srinivasa, S. & Ram, P. (2018). Deriving Semantics of Learning Mediations, In Proceedings of the 18th IEEE International Conference on Advanced Learning Technologies (ICALT), IEEE, pp. 54-55. Lalingkar, A.; Chandrashekhar, R. & Ramani, S. (2014). Ontology-based Smart Learning Environment for Teaching Word Problems in Mathematics, In G. Chen, V. Kumar, Kinshuk, R. Huang & S. C. Kong (Eds) Emerging Issues in 3 Smart Learning, Lecture Notes In Educational Technology, Berlin Heidelberg, pp. 251-258. (Cited by 4 as per GoogleScholar citation index) This paper has won the best paper award!